JPG: 9000x6000px @ 26.62 Mb. 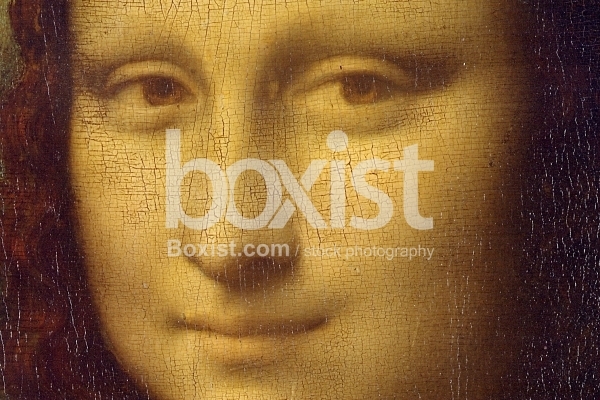 Macro Closeup Face Portrait Details of the "The Mona Lisa or La Gioconda" Painting by Leonardo da Vinci. 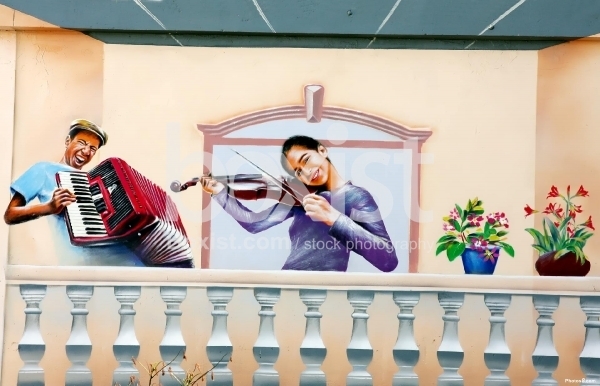 Wall Art Paint of Musicians on House Balcony. 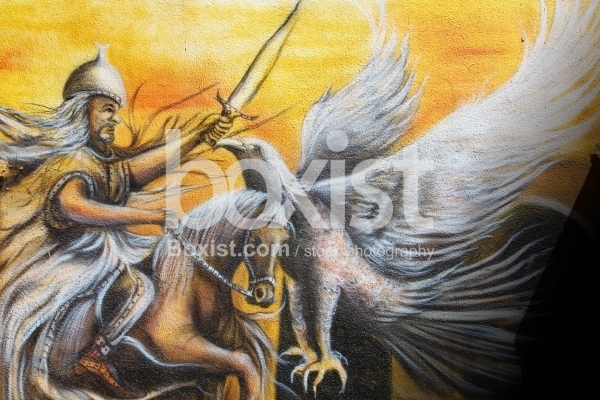 Moral Painting Featuring Saladin as a Knight Riding on Horse with Eagle and Sword.